Two-week-old brothers out of Astro and Ricki. 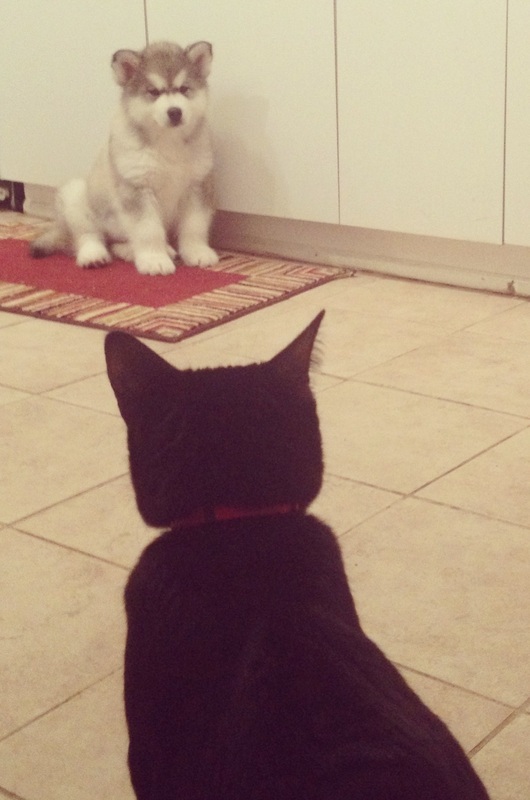 Cain meets Binx the Cat. Five-week-olds out of Lt. Dan and Cleo. Astro, Ch. Kaviak's Big Bang Theory, 10 weeks. Astro & Phoebe, 4 months old. I may be having a litter in 2018. I also have an adult male available to the perfect home. If interested, please fill out my Puppy Application. One of the most common questions I get from families waiting for a puppy is, how do you decide who gets which puppy? Will I be allowed to choose the one I want? I do understand the natural desire to choose that special puppy from the litter. However, please keep in mind that within each litter there are vast differences in personality and temperament. All honest breeders carefully consider the needs and activity level of the family, and will match each pup with its new home based on that. My primary concern as a breeder is each pup's potential success in its new home!! My pups' welfare and happiness is my first priority, as well as the happiness of each family who chooses to buy a Kaviak puppy. Please remember that I live with the litter and its relatives, and I've also carefully interviewed you to determine what you are looking for and what sort of pup will succeed in your family environment. You probably will come to visit at least once before you take your puppy home. Each pup has a different personality, which may not be immediately apparent when you have been here to visit. For example, you may need a pup who is calm and quiet, but when you've visited the litter, the most outgoing pup is tired. You may pick him up, and he snuggles into your chest--and of course, you are instantly in love with this puppy. However, I have lived with him for eight weeks, and I happen to know he's the most energetic and dominant puppy in the litter. In fact, chances are that this puppy is only quiet right now because he has been bouncing off the walls all morning! He'd make a great dog for an athletic family, but since you really want a calm and quiet dog, he is not the right pup for you. Breeders who allow buyers to pick their own puppies without guidance from the breeder usually don't know very much about their own dogs. Often their primary interest is making money, and whether that pup is bested suited for that home isn't even considered. Many times, these are the dogs end up in rescue programs or animal shelters as unwanted pets. These breeders will rarely take back a dog they have bred, preferring instead to let the shelter workers or rescue personnel shoulder that burden. If you have done your homework and are comfortable with the breeder you've chosen, then trust that person to choose your puppy for you. It is quite all right to express a preference for a specific color or to let the breeder know if a certain puppy has caught your eye, but please understand that a responsible breeders are breeding for themselves, and will usually be keeping one to two pups from the litter, or placing them in homes where they will be shown and the breeder will have access to the dog for their breeding program. I always listen to my puppy buyers' desires and will try to give them what they want IF I can, but I will make NO promises that they will get a certain color or specific pup. 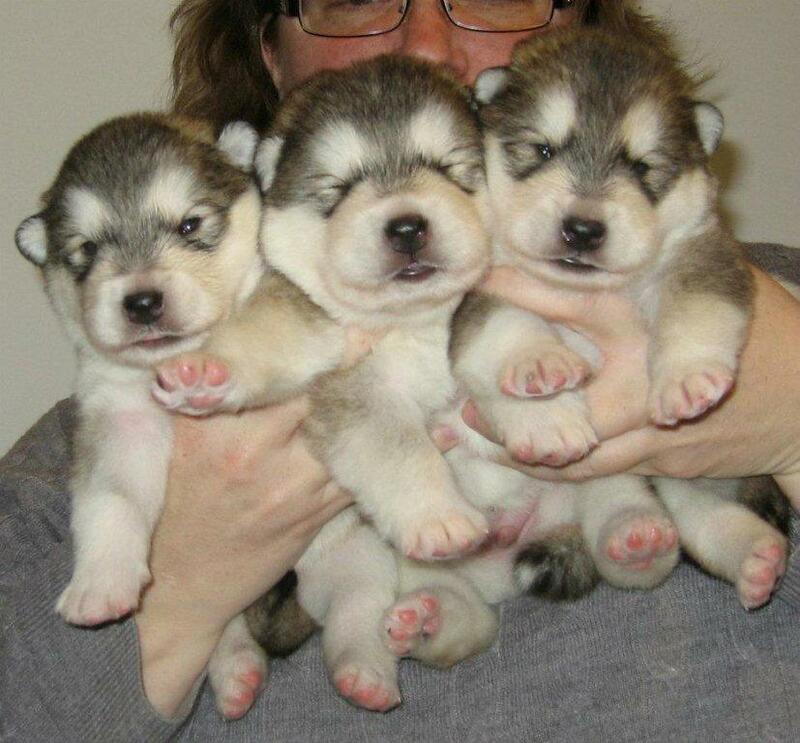 What I DO promise is that 1) I will provide them with a well bred, beautiful malamute baby, and 2) once the show pups have been selected, I will choose the best pup that I can for them based on what their family's lifestyle requires. By letting me select their puppy, each family stands a better chance of getting a dog that is perfectly suited to their lifestyle. 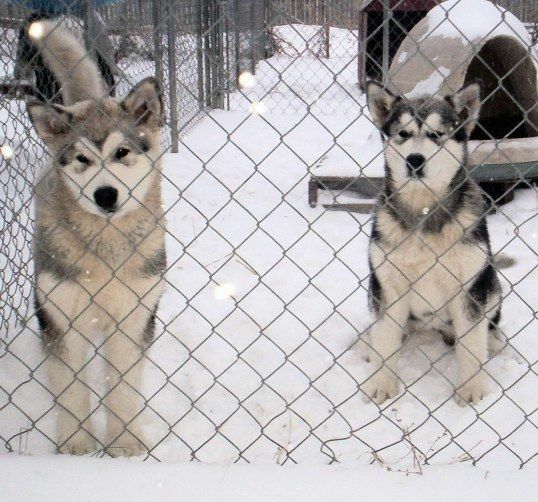 Important: once you've done the hard work by finding and selecting a good breeder with top quality malamutes, supply that person with a detailed description of your home and family, and what you are looking for in a dog. This should be your main concern, as you will love ANY puppy you take home. Want to know how to make your breeder fall all over herself in her eagerness to sell you a puppy? Read this blog post.